Dainty crystal stud earrings set on a blushing rose gold tone oozing feminine beauty. A beautiful choice for a blush wedding theme or every day glamour. Combining the on-trend beauty of rose gold with the elegance of vintage jewellery, our Blush of Eternity Earrings are a must own for every girl’s jewellery box. Featuring a sparkling cubic zirconia crystal centre surrounded by petite crystals set in a blushing rose gold tone they are timeless and incredibly elegant. Perfect for almost every occasion they will add a touch of class to your style and will look exquisite when teamed with our dainty Blush of Eternity Pendant. For brides who adore subtle jewellery these delicate earrings will look divine glistening against a chic up-do with either a white or blush pink gown. 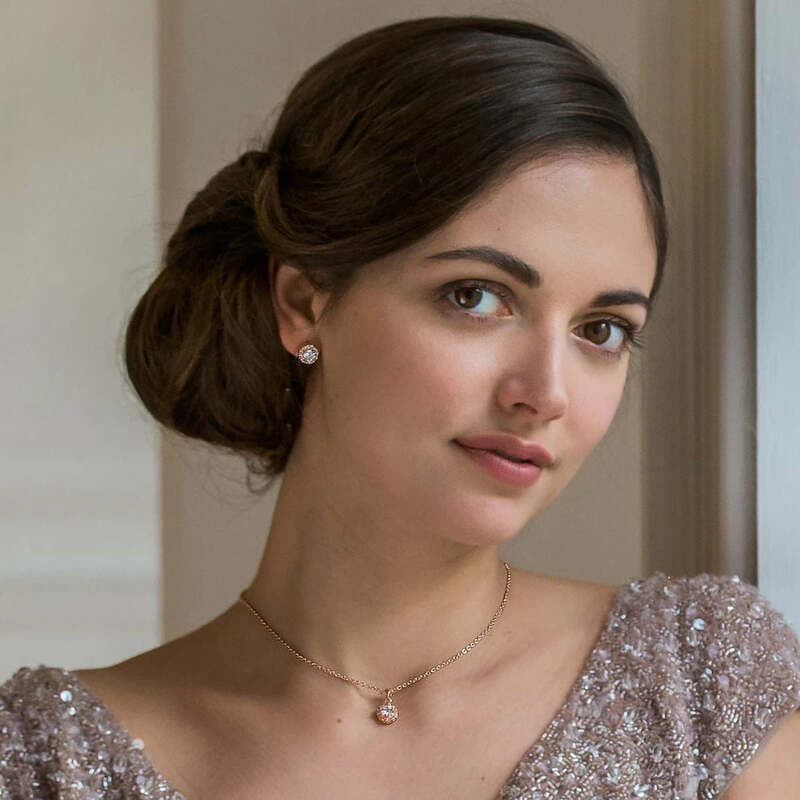 Blush of Eternity Earrings are also a stunning choice for your bridesmaids or for the mother of the bride - a beautifully stylish gift which will be worn time and time again.